Chain link fence,also known by some as cyclone fence,is one of the most popular choices of fence for both light residential to heavy commercial fence applications. 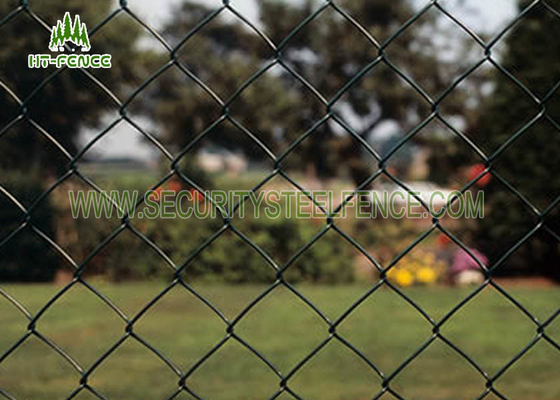 It can be used as garden fences,decorative fences,expressway ,railway ,barbed wire fences,galvanized pvc coated chain link fences,expand metal fences etc. It is also suitable for houses and properties,companied,recreation areas,garden parks.All kinds of colors can be coated according to customers' requirements. and long lasting, fulfilling the motive of keeping people in/out of a particular region. PVC coated, electro or hot dipped galvanized. After syrface treatment vinyl coated galvanized pvc coated chain link fence has a heavy galvanized coating to ensure a long life.